I love to take photos (snapshot) in Second Life. However, I also feel it is too noise to take photos. (I took more than 150 photos in an one hour event, think about it, if you keep hear that, won’t you feel annoying?) I am glad that Torley’s new video teach me how to prevent this kind annoying sound and gesture happen. 2. Check the Quiet Snapshot to Disk. 3. Test it! 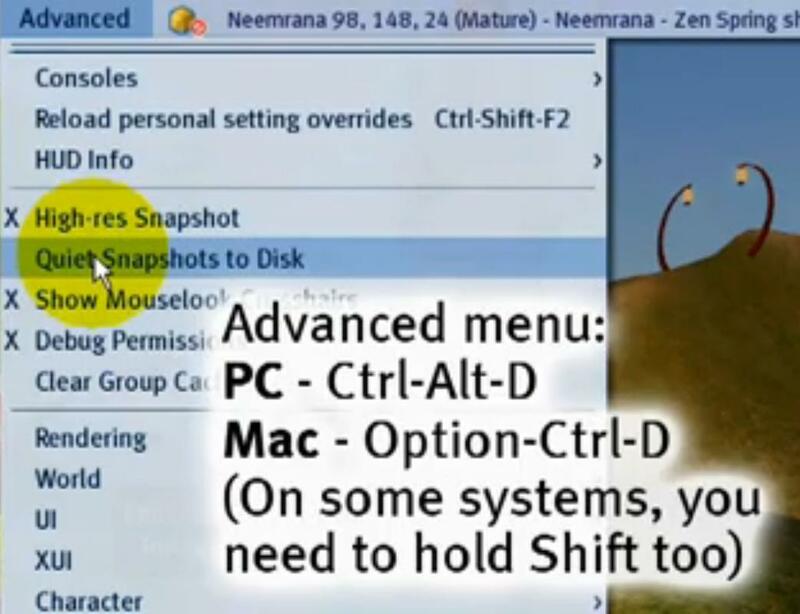 (You can take snapshot to disk by click the Snapshot button at the bottom menu, or Ctrl+`, or Ctrl+Shift+S).